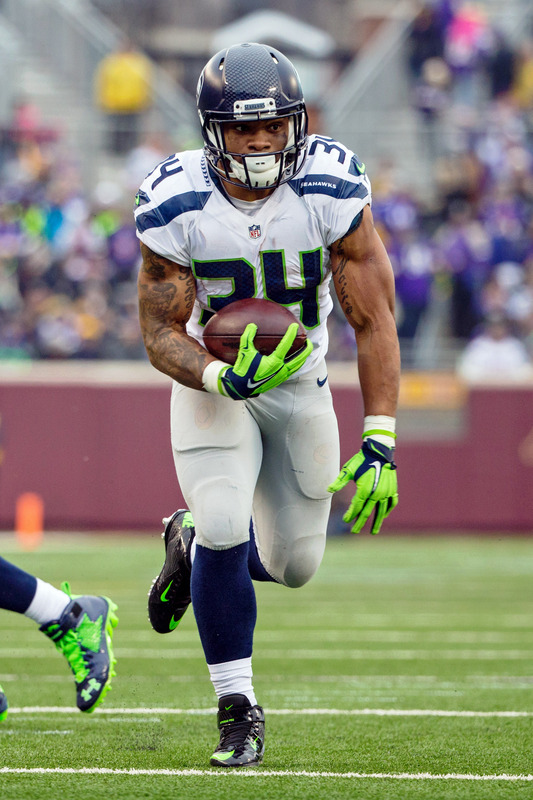 Running back Thomas Rawls has signed a futures deal with the Jaguars, according to Ian Rapoport of NFL.com (on Twitter). Rawls, who previously spent time with the Bengals and Seahawks, could help fortify Jacksonville’s depth. Rawls had 830 yards as a Seahawks rookie in 2015 and the league is still waiting on a revival. He averaged just 3.0 yards per carry for Seattle between 2016 and 2017 and was unable to make the Jets’ final cut last offseason. He hooked on with the Bengals soon after, but only dressed for one game and did not register a carry. Reserve/futures contract deals will go into effect on the first day of the 2019 league year, with players joining their respective clubs’ offseason 90-man rosters. These are low-cost and low-risk deals, so the Jaguars could easily drop Rawls between now and March if they have a change of heart. If he stays on the offseason roster, there’s no assurance that he’ll make the final cut in the fall. The Bengals have waived running back Thomas Rawls, according to a team announcement. Rawls signed with the Bengals on Sept. 19 but lasted less than a month with the club. Although Rawls was on the Bengals’ roster for multiple weeks, he was only on the active roster for their Week 5 win over the Dolphins. He did not touch the football in that game or record an official statistic. Rawls spent the offseason with the Jets and many believed that he would wind up as active participant in their running back committee. However, he was bounced during the club’s final cuts. Rawls had 830 yards as a Seahawks rookie in 2015, but hasn’t done much since then. The release of Rawls is a good indication that backup Giovani Bernard is nearing his return from a sprained MCL. Bernard is expected to miss Sunday’s showdown with the Steelers, but a return on Oct. 21 against the Chiefs remains possible. 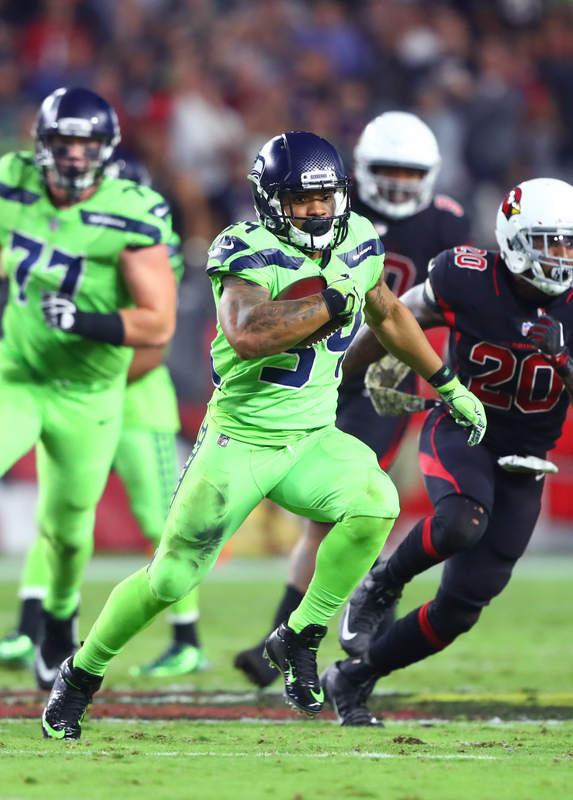 The Bengals have signed running back Thomas Rawls, according to a club announcement. To make room, fellow running back Tra Carson has been waived/injured. Rawls spent the offseason with the Jets and many believed that he would emerge as an active participant in their running back committee. However, he was bounced during the club’s final cuts, and placed back on the free agent pile. Rawls flashed as a rookie with the Seahawks, amassing 830 yards in 2015. Unfortunately, he hasn’t done much in the last two years, so he’s looking to prove himself all over again. Rawls will provide the Bengals with depth at running back while Joe Mixon heals up from a knee issue. In the interim, Giovani Bernard is expected to serve as the lead back with fourth-round pick Mark Walton as his primary understudy. The Patriots signed veteran wideout Eric Decker to a one-year deal last week, but New England actually had its eyes on Decker as early as the 2010 draft, as Mike Reiss of ESPN.com explains. Decker was “squarely in [the Patriots’] sights” at pick No. 90 in that draft, but the Minnesota product ended up going off the board three picks earlier to the Broncos, who at that time were lead by now-New England offensive coordinator Josh McDaniels. After recording 54 receptions for 563 yards a season ago, Decker has effectively replaced Jordan Matthews as the Patriots’ slot receiver, at least until Julian Edelman returns from suspension. Decker received only $75K in guaranteed money, however, so he’s far from a roster lock in New England. Bills receiver Zay Jones has been activated off the active/non-football injury list, but was wearing a red contact jersey during his first day back at practice, tweets Joe Buscaglia of WKBW. Jones underwent knee surgery in May and missed Buffalo’s offseason program, but the club has expressed hope that Jones — who was selected in the second round of the 2017 draft — will be ready for the regular season. After an offseason which included not only an operation but a bizarre arrest, the Bills have been adamant that Jones won’t be handed a starting spot. Buffalo’s wideout depth chart is among the worst in the league, though, so it will be surprising if Jones isn’t lining up opposite Kelvin Benjamin as the Bills’ No. 2 pass-catcher. After being traded from the Saints to the Dolphins last season, linebacker Stephone Anthony appears set to open the 2018 campaign as a starting outside linebacker, Andre Fernandez of the Miami Herald writes. Anthony has disappointed in four NFL seasons after being chosen as a first-round pick, and the Dolphins subsequently declined his fifth-year option for the 2019 season. That would have paid Anthony nearly $10MM next year, but as Fernandez details, Miami could conceivably extend Anthony if he succeeds this season. Veteran Thomas Rawls is now a legitimate candidate for the Jets‘ third running back job after Elijah McGuire suffered a broken foot, according to Brian Costello of the New York Post. McGuire is expected to be sidelined for three-to-six weeks, so Rawls is now competing with Trenton Cannon and George Atkinson for the right to play behind Isaiah Crowell and Bilal Powell. Rawls, of course, was a revelation in limited duty during the 2015 season, averaging 5.6 yards per carry on 147 rushes. In the years since, however, Rawls has been beset by injuries, and wasn’t tendered as a Seahawks restricted free agent earlier this year. The Jets recently expanded their analytics department by hiring former scout Brian Shields as a senior manager of football research, per Rich Cimini of ESPN.com. That’s a new role within the New York front office, per Cimini, who indicates general manager Mike Maccagnan is becoming more open to the use of analytics in the NFL. ESPN’s group of AFC West reporters recently took a look at who was on the hottest seat in the division, among coaches, players, and executives. Although Raiders GM Reggie McKenzie‘s name came up a couple of times, the consensus seemed to be that Broncos coach Vance Joseph was the one most likely to be fired should he falter to early on this season. Recently, our Zach Links asked readers which coach would be the first to be fired in 2018, and Joseph was a popular selection in the poll. Joseph was very nearly fired by John Elway after just one year following a disappointing 5-11 season in 2017, but his job was ultimately spared at the last minute. If new free agent acquisition Case Keenum doesn’t get things turned around in a hurry, there could be an early coaching change in Denver. In the Jets‘ suddenly crowded running backs room, Thomas Rawls is the “longest shot to make the roster”, according to Darryl Slater of NJ.com. Isaiah Crowell is a lock to make the team, and Slater thinks Bilal Powell, Elijah McGuire, and Trenton Cannon are all in better position than Rawls. Bears guard Kyle Long says the team has “taken the training wheels off” for quarterback Mitchell Trubisky, and that he’s finally “going to be able to do some things creatively and get to showcase his skills”, according to Madeline Kenney of the Chicago Sun Times (Twitter link). Former Bears coach John Fox was often criticized for being overly conservative with Trubisky, and it sounds like Trubisky will finally get to let loose in 2018. In case you missed it, yesterday we took a look at the latest from the AFC East, with notes on the Patriots, Dolphins, and Jets.